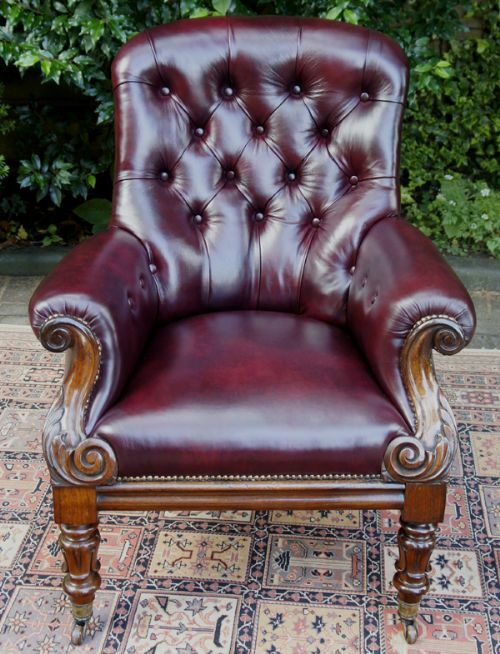 A good quality Antique William 1V library chair recently upholstered in burgundy hides with sprung seat. It has a padded back deep buttoned back, padded and sprung seat and brass studding. 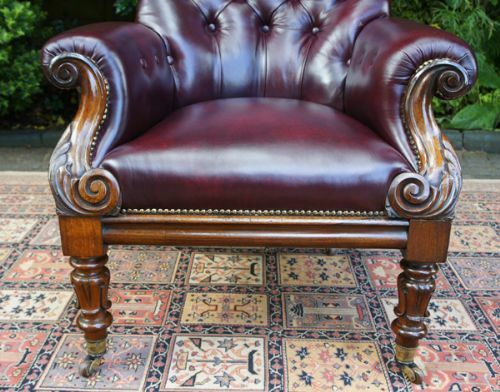 This handsome antique library chair has well carved scrolling rosewood arms, a moulded seat rail and turned and carved front legs. It has swept back legs and stands on 4 brass and brown ceramic castors. 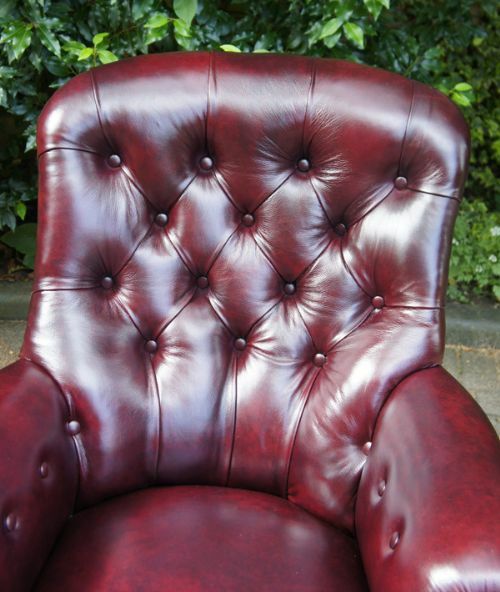 A good quality Antique William 1V library chair recently upholstered in burgundy hide with sprung seat. It has a padded back deep buttoned back, padded and sprung seat and brass studding. 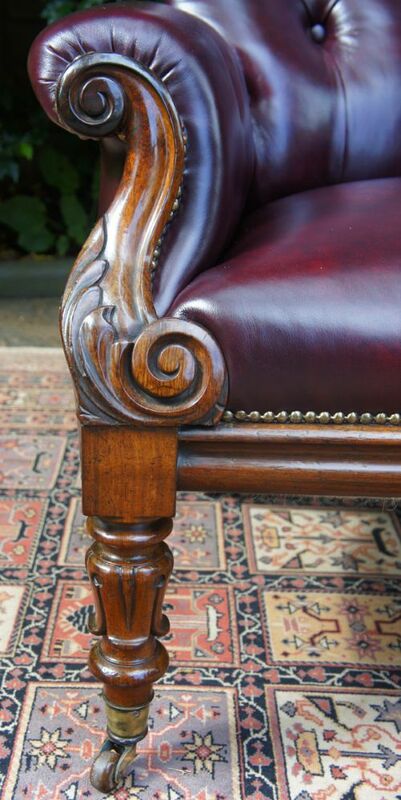 a molded seat rail and turned and carved front legs. It has swept back legs and stands on 4 brass and brown ceramic castors. 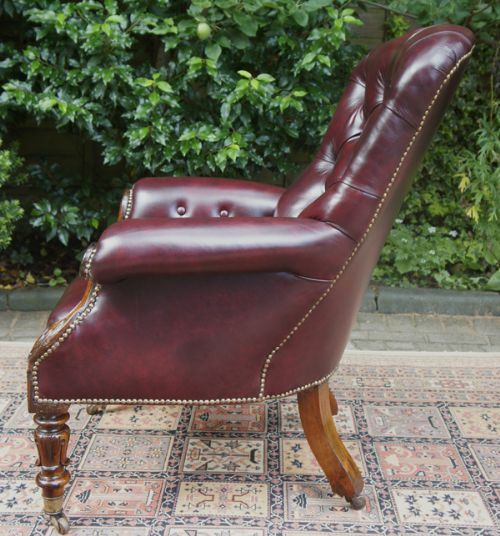 A very stylish and comfortable antique armchair that would look equally good in an office, library or lounge. It is not a bulky size so does not take up too much space but offers a capacious and comfortable seat.